Elwyn Roy King DSO, DFC (13 May 1894 - 28 November 1941) was a fighter pilot and ace in the Australian Flying Corps (AFC) during World War I. 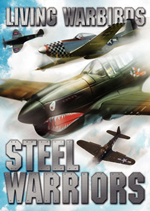 He scored twenty-six victories in aerial combat, making him the fourth highest-scoring Australian aviator of the war. King entered service as a Lighthorseman in 1915, before transferring to the AFC in 1917. Operating with No. 4 Squadron on the Western Front, he achieved seven of his "kills" in the Sopwith Snipe, more than any other pilot. His exploits earned him the Distinguished Flying Cross and the Distinguished Service Order. Returning to Australia in 1919, King went into business before joining the Royal Australian Air Force following the outbreak of World War II. He held several training commands prior to his sudden death in November 1941, at the age of forty-seven. Elwyn Roy King was born on 13 May 1894 at The Grove, near Bathurst, New South Wales. He was the son of English-born Elizabeth Mary (Miller) King and Richard King, an Australian laborer. Elwyn attended public school, and further educated himself in mechanical engineering via correspondence. Having been employed repairing bicycles, automobiles, and farming equipment, he was working as a motor mechanic in Forbes when he joined the Australian Imperial Force under the name Roy King on 20 July 1915. Embarking for Egypt aboard HMAT Themistocles on 5 October 1915, King became a member of the 12th Light Horse in February 1916. The unit was engaged in the defence of Suez Canal in May, and spent the following months undertaking patrols and sorties into the Sinai Desert. King transferred to the Australian Flying Corps (AFC) on 13 January 1917, and was sent to Britain to join No. 68 (Australian) Squadron of the Royal Flying Corps (later No. 4 Squadron AFC) as an air mechanic on 18 April. He was posted to a training squadron for flying instruction in August. On 15 October, he gained his wings and was commissioned as a Second Lieutenant. Rejoining No. 4 Squadron in November, he was promoted to Lieutenant on 15 January 1918, before arriving in France for active duty on 21 March. No. 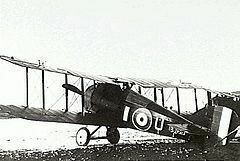 4 Squadron initially flew its Sopwith Camels in support of Australian ground troops, meaning that King and his fellow pilots were engaged in hazardous low-level work, with little opportunity for air-to-air combat. The burly six-foot, three-inch King-nicknamed "Bo" or "Beau"-also had problems landing the Camel; his large frame crammed into its small cockpit impeded control stick movement. The resulting rough landings annoyed his Commanding Officer, Major Wilfred McCloughry, brother of ace Edgar McCloughry. On 14 May 1918, King sent a two-seat German scout out of control, but clouds prevented him from confirming its destruction. By 20 May, however, he had been credited with his first aerial victory, over a Pfalz D.III near Kemmel-Neuve x�glise. The following month he shot down his first balloon and two more aircraft, a Pfalz and an LVG, in the vicinity of the Lys. On 29 July, King led a flight of six Camels from No. 4 Squadron escorting Royal Air Force DH.9 light bombers in a raid on Armentix�res. In an action that the official history of Australia in the war highlighted as an "example of cool and skilful air fighting", the DH.9s completed their bombing mission while the Camels drove off an attacking force of at least ten German Fokkers, three of the Australians including King claiming victories, without any Allied loss. King scored two victories, a balloon and an LVG, near Estaires during a bombing raid on 10 August. On 16 August, as part of the Allies' Hundred Days Offensive, he participated in another raid, a major assault against the German airfield at Haubourdin, near Lille, that resulted in thirty-seven enemy aircraft being destroyed. During the action, described by the official history as a "riot of destruction", King set on fire a hangar housing four or five German planes. He was recommended for the Distinguished Flying Cross (DFC) on 8 September. The award, promulgated in the London Gazette on 3 December, cited his "gallant and valuable service in bombing and attacking with machine gun fire enemy billets, trains, troops etc", during which "he insures success by descending to low altitudes, disregarding personal danger". On 15 September, King was promoted to Captain and flight commander, and by the end of the month had taken his score to eighteen. He registered his final victory in a Camel on 2 October when he sent down his fourth balloon by unloading his bombs on it. He then converted with the rest of No. 4 Squadron to the upgraded Sopwith Snipe, whose larger cockpit was a better fit for him. King scored with the Snipe on both 28 and 29 October, the latter at Tournai, in what is frequently described as "one of the greatest air battles of the war". Amid a confrontation involving over seventy-five Allied and German fighters, King evaded five enemy Fokkers that dived on him, before destroying an LVG in a head-on attack. The next day, he downed three Fokker D.VIIs, two without having to fire a shot. As he zoomed up from shooting one down out of control, he cut off another. This second Fokker pulled up to avoid collision and toppled on top of a third Fokker. 4 November brought one of the war's last air battles, near Leuze. King's destruction of two D.VIIs in the space of five minutes, the latter in flames, capped his combat career. His tally of seven victories with the Snipe in the closing days of the war made him the highest-scoring pilot in this type. King's final wartime score included six aircraft driven down out of control, thirteen aircraft and four balloons destroyed, and three other aircraft destroyed in shared wins with other airmen. This made him second only to his great friend and fellow No. 4 Squadron pilot, Captain Harry Cobby, as the most successful ace in the AFC, as well the fourth most successful of all the Australian aces in the war (his top-scoring compatriots, Robert A. Little and Roderic Dallas, flew with the British Royal Naval Air Service and Royal Air Force). King was recommended for a bar to his DFC that was upgraded to the Distinguished Service Order and awarded on 3 June 1919. The recommendation noted his victories in the air and cited him for having "proved himself a very brilliant patrol leader" and for being "a magnificant example at all times to all pilots in the squadron". He was also belatedly Mentioned in Despatches for his wartime service in July 1919. Following the end of hostilities, No. 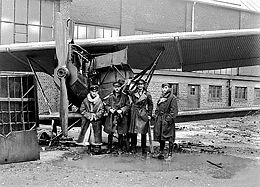 4 Squadron joined the British Army of Occupation in Bickendorf, near Cologne, Germany, in December 1918. The unit returned to England in March 1919, and King sailed with it back to Australia on 6 May. He left the AFC on 11 August 1919 in Melbourne, before taking up employment with Larkin-Sopwith Aviation Company of Australasia Limited, racking up a number of commercial aviation firsts transporting mail, newspapers, and press photos. 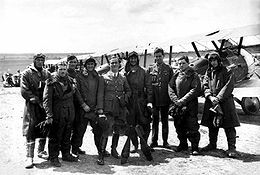 In 1920, he refused to join the newly established Australian Air Corps-forerunner of the Royal Australian Air Force (RAAF)-because it had not then offered a commission to Frank McNamara VC. King soon left aviation to go into business with another pilot, founding Shipman, King, and Company Pty Limited. Importing and manufacturing machinery, the company was successful and King was able to take up motor racing. On 31 March 1925, he married twenty year-old Josephine Vida Livingston in Melbourne. They would have a son and a daughter. In December 1939, soon after the outbreak of World War II, King joined the RAAF as a Squadron Leader. Initially offered flying duties, he was transferred to command pilot training in the new year. On 2 January 1940, he became the inaugural Commanding Officer of No. 3 Elementary Flying Training School (3EFTS) in Essendon, Victoria. Part of the Empire Air Training Scheme, 3EFTS initially comprised a significant civilian presence, many of the aircraft and staff under King's control being from private airline companies and the Royal Victorian Aero Club; by July, however, all private machines had been pressed into RAAF service and the civilian element largely ceased. King took over No. 5 Elementary Flying Training School at Narromine, New South Wales, on 21 December. Promoted to Wing Commander, he led No. 1 Service Flying Training School at RAAF Point Cook from 7 July 1941, before being posted in October to command the newly established Station Headquarters Point Cook, as a Group Captain. King died unexpectedly of cerebral oedema on 28 November. He was survived by his wife and children, and cremated. His funeral at South Yarra was attended by hundreds of mourners from the military and civil aviation world, including the Chief of the Air Staff, Air Chief Marshal Sir Charles Burnett, and a representative of the Minister for Air; the pallbearers included Air Vice Marshal Henry Wrigley, Air Commodore Raymond Brownell, and three Group Captains. Garrisson, A.D. (1999). Australian Fighter Aces 1914-1953. Fairbairn, Australia: Air Power Studies Centre. 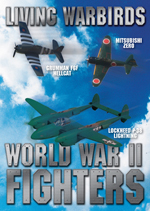 ISBN 0642265402. http://airpower.airforce.gov.au/Publications/Details/220/Australian-Fighter-Aces-1914-1953.aspx. RAAF Historical Section (1995). Units of the Royal Australian Air Force: A Concise History. Volume 8: Training Units. Canberra: Aust. Govt. Pub. Service. 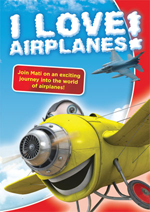 ISBN 0644428007. OCLC 35296038. Odgers, George (1996) . Air Force Australia. Frenchs Forest, NSW: National. 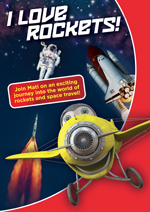 ISBN 186436081X. OCLC 38340794. Stephens, Alan (2006) . The Royal Australian Air Force: A History. London: Oxford University Press. ISBN 0195555414. OCLC 255238793.